A 50 unit senior living community located in Golden, Colorado for the Jefferson County Housing Authority. This is a Low Income Housing Tax Credit project awarded by CHFA. Lewis Court enhances the frontage at Jackson Street and provides screening from adjacent properties. The property required re-zoning, so the team worked closely with the city and neighbors to ensure that a high quality project was achieved for the community. 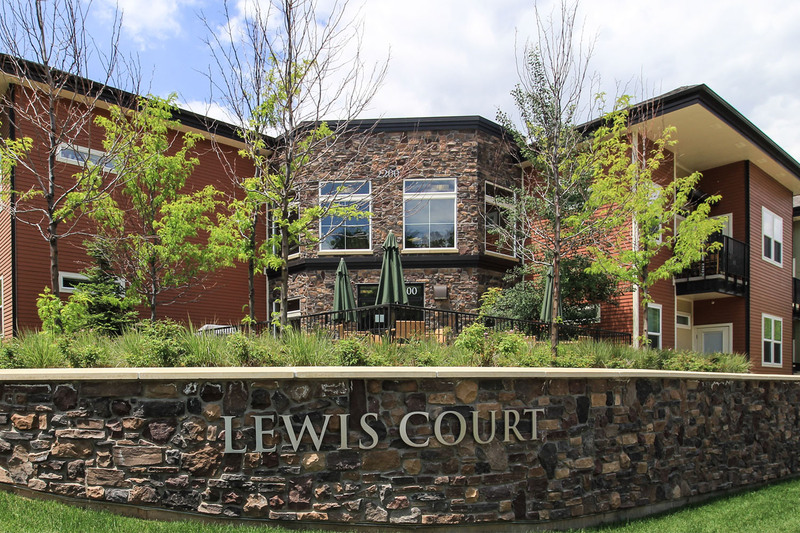 Lewis Court was nominated for an Eagle reward at the Colorado Now Housing Conference. Secretary Donovan of housing and Urban Development held a press conferences and tour at the site.